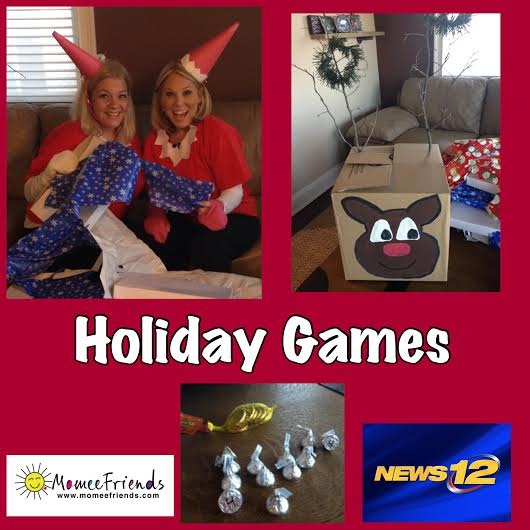 Those of you who watch News 12 in the morning know that Elizabeth loves to have fun and my fellow Momee Friend is a competitive woman. Will I be able to beat her in the holiday Mitten Challenge? 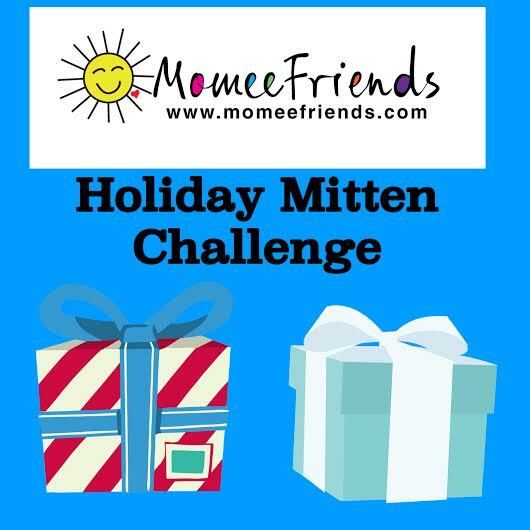 What is the holiday Mitten Challenge, you ask? Break out the mittens and get your wrapped presents nearby because we will see who can open up the gifts the fastest wearing mittens. The task is not easy but it sure is fun. We love playing this game and it is so inexpensive to make. 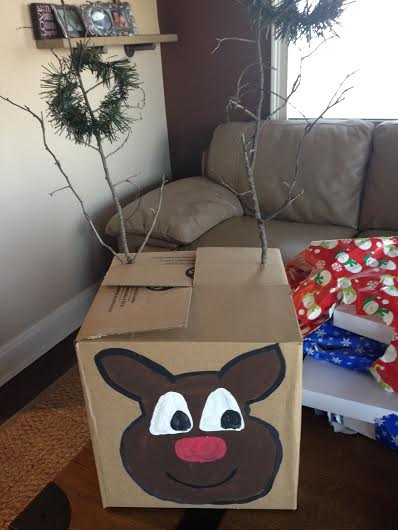 All you have to do is paint a reindeer face on the front of a box. 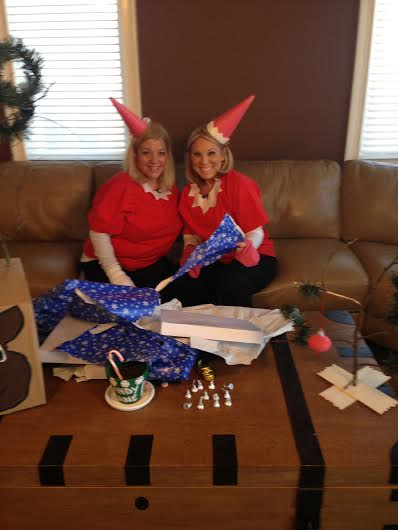 Grab two large fallen tree branches from outside (for the antlers) and you have completed your reindeer. 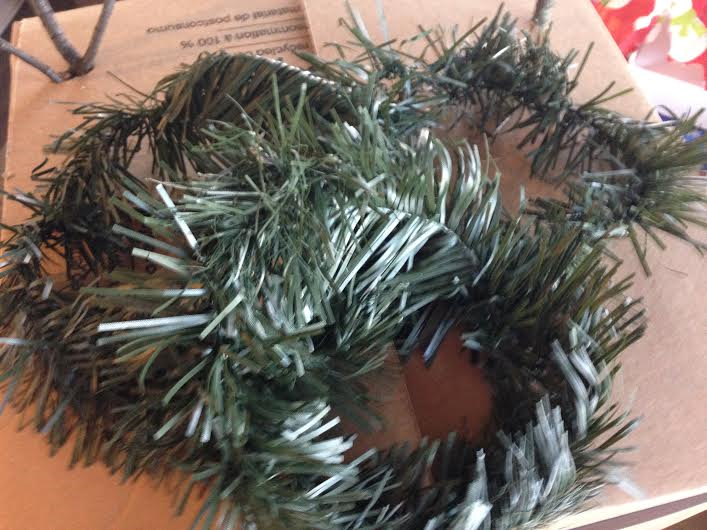 But, I decided to use the Pine Garland I bought at the dollar store to make my rings for the ring toss game. Object of the game: see how many rings you can get around the antlers of the reindeer. Whether you celebrate Christmas or Hanukkah we all love a game we can win chocolate to eat, don’t we? The object of this game is to get the most matches. Best part: the matches you get you earn that chocolate to eat ! 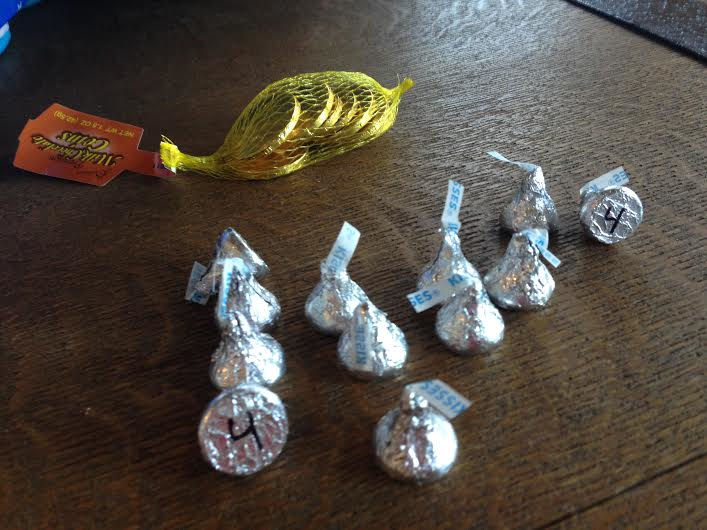 Silver Bells Match Game– uses Silver wrapped Hershey Kisses with numbers written on the bottom for a match game. We hope you have as much fun as we did playing these games with your loved ones this holiday season! That reindeer ring toss?! LOL! So easy and my kiddos will love it! This is a must this season, thanks for the idea! I am so glad you liked the idea : ) My girls love playing the game.